Ghrit Kumari Ext. (Aloe barbadensis) 10 ml. Elaichi (Elettaria cardamomum) 2 gm. Nagarmotha (Cyperus rotundus) 500 mg.
Giloe (Tinospora cordifolia) 30 mg.
Punernava (Boerhaavia diffusa) 30 mg.
Kesar (Crocus sativus) 2 mg.
Ark Kewda (Pandanus odorotissimus) 2 ml. Ark Gulab (Rosa Centifolia) 2 ml. Our company was established in the year 1990 by the name of Zoic Pharmaceuticals. We are Sole Proprietorship (Individual) based firm which is engaged in manufacturing and supplying a large range of Anti Diabetic Capsules, Kidney Stone Medication, Liver Disease Medicine, Anti Hypertension Drug, Ayurvedic Cough Medicine, Blood Purifier Medicine,Anti Anemia Medicine, Ayurvedic Piles Medicine, Ayurvedic Thyroid Medicine and many more products. Since inception the prime focus was to deliver quality assured products. The state-of-the-art Quality Control lab enables us to monitor and standardize the raw material and the finished products using modern evaluation procedures. The tests assure and validate the efficacy and safety of the drugs. The main aim of our company is to provide standardized and researched herbal healthcare products to the customers. The Total Quality Management in our entire group concerns is implemented in our sturdy QMS system. Also, the unit of our company is accredited with ISO 9001:2008 certification and has been awarded with Good Manufacturing Practices (G.M.P) Certificate. 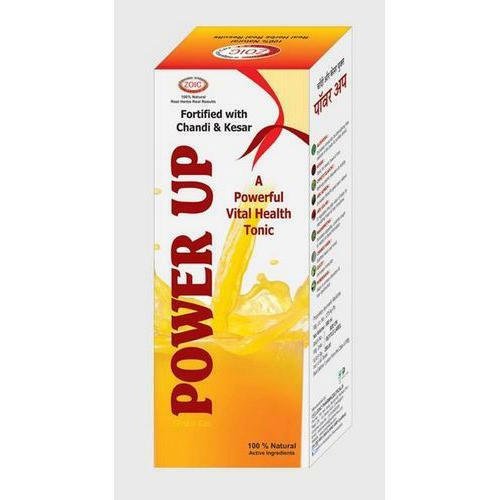 Our company was started by Lt. Dr. Pardeep Kumar Gupta with a vision to be a Leading National Herbal Healthcare Company, improving Quality of Life. Under the vigilance of "Vivek Singla (Managing Director)", our company relentless emphasis on quality, hygiene, traditional values and latest technologies along with continuous up-gradation of the unit and upholding high ethical standards has ensured us pre-eminent position in the ayurvedic medicine market. Located at Mohali (Punjab, India), we manufacture more than 90 special Ayurvedic medicines. Zoic brand is synonymous with Ayurveda, considering that the company has been a leading brand for over 25 years. It’s a brand name that stands out as a brand name that denotes trust and dependability. We have equipped our processing section with the latest technologies to complement the manufacturing process. Though all process religiously follows the instruction mentioned in ancient manuscripts, the incorporation of modern technologies enables us to enhance production capacity and retains the purity of the herbs and plants used, without compromising quality. Every business processing of our company is carried out as per the Good Manufacturing Practice (G.M.P.) guidelines specified by W.H.O. and QMS as per ISO 9001:2008 standards. The herbs for processing purpose are sourced from genuine cultivators located all over the country and undergo stringent quality checks before approval for production. In Ayurvedic medicines all raw material are derived from natural sources. They may be from plant source or from minerals. Synthetically prepared ingredients are not incorporated during any stage of preparation.